What is the process of designing a new site? I will ask you for links to other sites where you like the design layout and general look and color scheme used. They don’t have to be sites in your specific industry, they can be any kind of site, I just need to know a little about your preferences. You tell me as much as you can about your target audience or customers that you are trying to reach. Visual aesthetic appeal and design are important, but how your site flows and functions in the best possible way for your visitors is also equally important. Based on the examples the examples you provide, additional info about who your potential customers may be, and our initial conversation, I will come up with a sample site design for you to look at. Usually with in a week depending upon the scope of the project. I then get your feedback and you let me know if I am on track or way off the mark and will update and revise things as needed. It may take some trial and error and really just a lot of me experimenting with the layout and the graphic elements. I may also suggest some additional functional features if I have any ideas or may want to add my own creative twist. Once we come up with a design we both agree upon I can then give you a firm quote. 1/2 of that will be due up front and the balance will be due immediately upon completion. Your complete satisfaction is guaranteed. If this is a new site for you business and you need ideas, I always suggest that you go search for your largest top competitors and check out their website and see what they have going on. Check out several sites and you may come up with some additional ideas on content they you may not have yet thought of yourself. We don’t want to copy another site but often you can come up with some unique ideas from several other sites and combine that into an original site of your own. I expect prompt payments just as my clients expect and receive a quick turn around time on their new site or updates on an existing site. You’ve put it off and now you need your site competed as quickly as possible, like yesterday. Quality takes time, a custom rush job may not yield the best results, but get in touch with me and I will see what I can do. I can often get a site up in one day if needed but the additional content may take time. You saw several sites you absolutely love so you have a long list of things your site must have, but you have to stick to your small budget. I understand having a tight budget, especially in the beginning of a business, but the more you want the more I have to charge, as it’s not fair to me to give you x amount of features for a disproportionately low price. You want a cheap custom site. I charge what I think is fair for my skills, my talent, my experience. If you’re looking for a fully customized $500 site I am probably not your guy. You want a designer who has a “the customer is always right” mentality. Sorry, not me. If I’m hired for my expertise I’ll expect to be allowed to do my job and offer suggestions, even if it means saying no to bad suggestions you may have. None of the above is meant to be rude in any way at all, but after doing this a while I know what type of clients I work best with and who also enjoy working with me. I do what I do because I love and enjoy it, it’s not work to me. My hourly rate is $50 per hour. All sites are different and unique but on average the sites I build run about $750 – $1000. Some larger WordPress multi-sites, membership sites, or E-commerce sites and require more time and cost $5000 or more depending on the scope of the project and the time involved. Domain names are $20 per year. Basic web hosting which is sufficient for most is $10 per month billed quarterly. I spend a majority of time working on WordPress web sites and know it very well. I have created large WordPress multi sites which contain separate sites for each employee of the company, many different types of small business websites and E-commerce websites using WordPress. I often get clients who have hired another designer and the project was never completed, or it was taking too long and the project is now way past the agreed upon deadline, or they just could not get everything to function correctly as promised. I can almost always debug all the issues and get everything working smoothly. If you can show me example of something you need created, I can usually duplicate what need in WordPress. Can you update my existing site that was created by another designer? Yes I can! If you have an older site that is not mobile friendly / responsive you could be penalized in the google search results. Contact me and I will have a look at your current site and let you know what we can do. I build most web sites in WordPress as it is very easy to learn and very easy to use. You can easily update your pages and add content. I can create a custom admin section in the back end to make it even easier and if you are not familiar with WordPress I will install basic WordPress video tutorials into your admin section that will walk you through everything you need to know to get you started. There are also an endless number of tutorials on the net for anything you would like to learn. Some of the web sites I build are more advanced and complex so some of the content may not be so simple to update your self but clients can always call and I will walk them through the basics the first time around. Yes I can provide you with Cpanel web hosting for $10 per month billed quarterly or $100 per year. Can you obtain a domain name for me? Yes I can as long as it is available and unregistered. 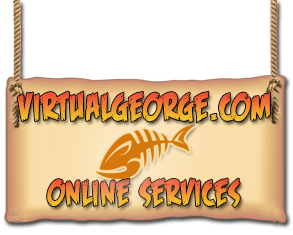 I can assist you with finding an available domain name for your web site and you will be billed $20 per year for the domain registration fee.